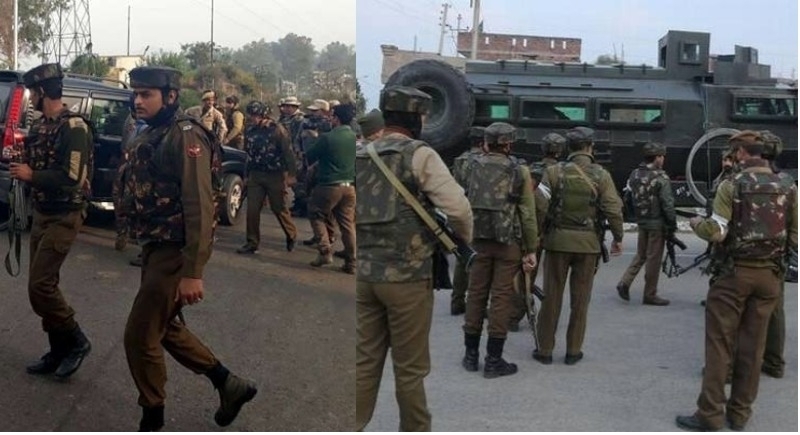 New Delhi, June 18: Halting the conditional ceasefire in Jammu and Kashmir, the central government on Sunday directed security forces to take necessary actions against terrorists and terror groups. “Government commends the role of Security Forces for having implemented the decision in letter and spirit in the face of grave provocation, to enable the Muslim brothers and sisters to observe Ramazan in a peaceful manner. This has been widely appreciated by the people all over the country, including J&K, and has brought relief to the common citizens,” it added. “Security Forces are being directed to take all necessary actions as earlier to prevent terrorists from launching attacks and indulging in violence and killings. Government will continue with its endeavour to create an environment free of terror and violence in Jammu & Kashmir. It is important that all sections of peace loving people come together to isolate the terrorists and motivate those who have been misguided to return to the path of peace,” it concluded. The Home Ministry also requested all the sections of peace loving people to come together and isolate the terrorists and motivate those who have been misguided to return to the path of peace. Home Minister Rajnath Singh on May 17 announced a conditional ceasefire to stop anti-terror operation on a plea of Jammu and Kashmir CM Mehbooba Mufti. On Saturday, a 20-year-old man was killed in clashes between police and civilians after Eid prayers in south Kashmir's Anantnag. A teenager was allegedly killed in army firing during protests in Pulwama on Friday. Senior journalist and editor of newspaper ‘Rising Kashmir' Shujaat Bukhari was gunned down by suspected terrorists in Srinagar.